A certain man in Makera Housing estate along Daura road , Kastina state has been electrocuted, when he attempted to steal and electric wire. It was in the middle of the night and there was no light. 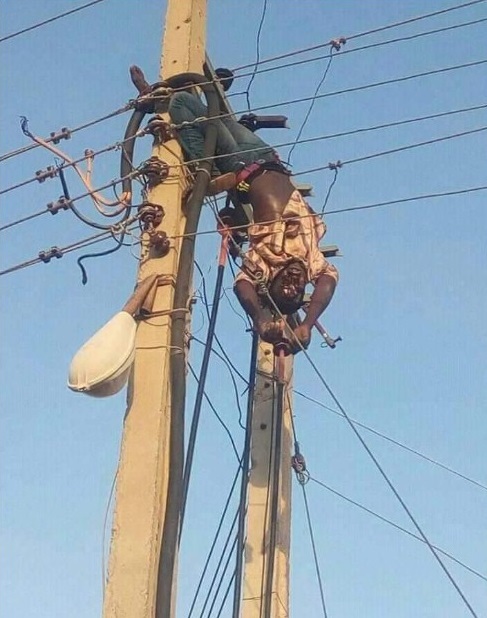 He mounted the pole to quickly carry out the act, but unfortunately power was restored and he was instantly electrocuted. Residents woke up to see him hanging dead on the pole and called the police. The men of the Nigerian forced has however taken his corpse for further investigation. This happened yesterday morning.